In 1828, where the Great South Road forded the Wollondilly River, a few allotments were surveyed for the township of Goulburn Plains. Of these, the site of Riversdale was granted to Matthew Healey in 1830. He held an Innkeepers’ license in 1832, operating from a slab building. In 1832, Governor Bourke selected another site for Goulburn two miles to the south. Built as a coaching inn and residence in the 1840s, Riversdale is the only surviving building of the ‘Old Township’ as sited by Governor Macquarie. Standing with its original paddocks and out buildings, the property is a fine example of a single-storey Colonial Georgian cottage, surrounded by splendid flowering gardens. From 1850-1856 the property briefly operated as a school, then passed to numerous owners and lessees until Edward Twynam purchased it in 1875. Edward made substantial contributions to the South West regions of the colony and later became Surveyor General of NSW. The property remained in his family until acquired by the National Trust in 1967. Riversdale is renowned for its collection of fine Australian Colonial furniture, arts and craft – much of it provenanced to the Twynam family (especially Emily Rose Twynam) and for the garden with its 1918 espaliered apple trees and flowering shrubs. 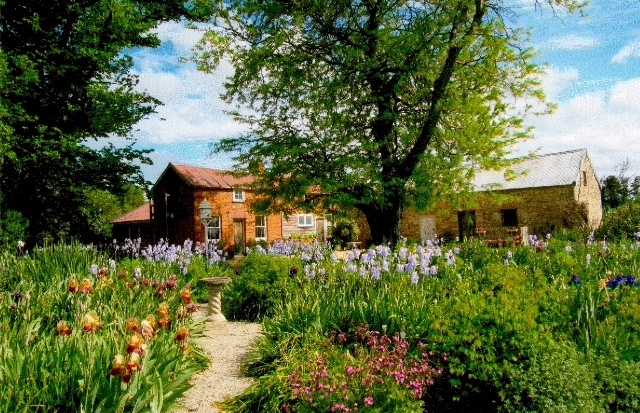 Fine colonial homestead in the heart of sheep grazing country; large flower garden, expansive vistas. Collection which includes arts and crafts created by the family, particularly Emily Rose Twynam; wood carving and other skills popular at the turn of the 19th century.